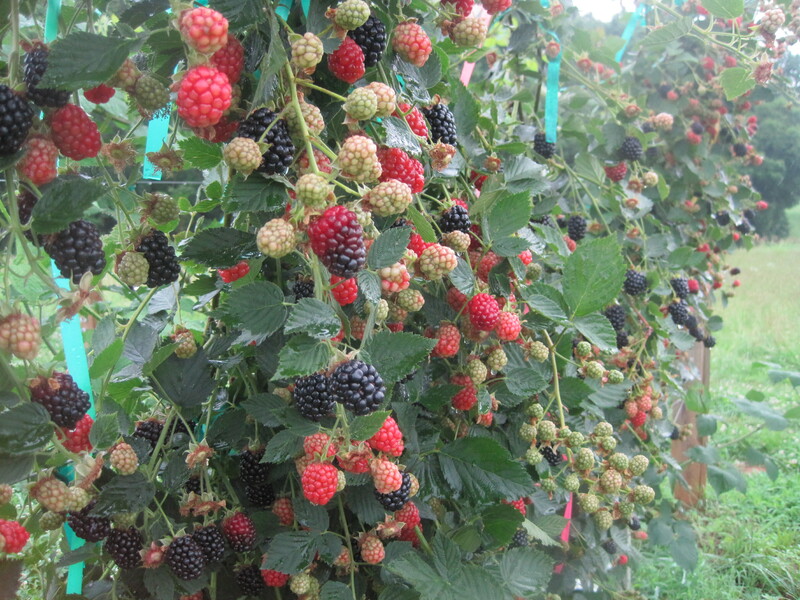 Postharvest handling of blackberries and raspberries is an important step to overall food safety and product quality. A step-by-step guide to planning, designing, building and maximizing the efficiency of room-cooling facilities. Article discusses the impact that identical storage conditions have on the postharvest quality of multiple cultivars when harvested during various stages of ripening. Growers may find this material useful as an indicator of potential shelf life based on certain harvesting and storage practices and thus plan appropriately for their operation. This journal article discusses ripening changes in the ‘Navaho’ blackberry during specific stages of ripening. Focuses on color, respiration, ethylene production, softening and compositional changes. What is the shelf life of blackberries and raspberries? How should I pick, store and ship the fruit? What food safety measures do I need to consider? Dr. Penelope Perkins-Veazie, NC State University Plants for Human Health Institute, answers these and other questions in this article from the Southern Region Small Fruit Consortium newsletter. Delicious and bountiful blackberries and raspberries can be grown in your backyard by utilizing the resources found in this site, including tips on trellising. Growers and extension agents can find research-based information specific to North Carolina blackberry and raspberry production on this site, whether the information originated in the Department of Horticultural Science, Agricultural and Resource Economics, Plant Pathology, Entomology or the State Climate Office. There are also links to national and international research initiatives that include NC State personnel. Success in agriculture requires a multidisciplinary, multinstitutional approach. In addition to faculty contributions, this site will include feature articles about growers and industry representatives sharing their own experiences. New growers will find resources specific to start-up, while new and experienced growers will recognize the convenience of the weather/climate links. There are also Twitter, Facebook and Blogger links for those who like to stay in touch via social media. When a question about blackberries or raspberries comes to mind there’s no need to go globetrotting across the Internet; one stop at the Blackberry and Raspberry Information Portal will provide the answer.